The movies and the fighter pilot were made for each other. The motion-picture concept is generally credited to Thomas Edison in 1889, and he continually improved it through the 1890s into the next century. By the time World War I had begun, crude commercial movies were available, with the first heroes frequently being cowboys with big hats and smoking guns. The controversial (and three-hour-long) movie The Birth of a Nation hit the theaters in 1915 and made millions (back when a million dollars was a lot of money). Although there were aerial snippets here and there, the airplane didn’t make its serious theatrical debut until 1927 with Wings, which won the first Best Picture Oscar ever awarded. It also featured the plotline that would be followed to the present day. There is a formula that works in this kind of storytelling that predates even the likes of the The Last of the Mohicans (James Fenimore Cooper, 1826), long before airplanes were invented. Stripped to its core, it says that a young warrior challenges the status of an older, more experienced warrior. He screws up but eventually redeems himself through superior combat skills and bravery. Now substitute the word “pilot” for the word “warrior” and you have most of the flying films ever made. The reason the same general plotline is used is because it works. The basic plot worked in Wings. It worked in The Dawn Patrol (1930) and Hell’s Angels (1930). It worked in a myriad of WW I and II combat films and bled over to films like The Hunters (1958), The Blue Max (1966), The Great Waldo Pepper (1975), and, of course, Top Gun (1986). The last, although scoffed at by “real” fighter pilots, is still to be found in nearly all video libraries in every squadron ready room. Even Star Wars series borrows on the legend of the fighter pilot. There’s a reason for the popularity of the much-denigrated Top Gun with the pilots it pretends to portray but doesn’t. Fighter pilots, who are often above average in intelligence, are also self-aware. They know for a fact that not every guy out there is routinely breaking the sound barrier. Or challenging the laws of physics to land on an aircraft carrier. Or volunteering not only to put themselves in the danger zone that surrounds anything that is fast and complex but also to willingly (eagerly, actually) put themselves to the ultimate test represented by combat. There are few things in life where a man (or woman) has as much skin in the game as a fighter or attack pilot does. 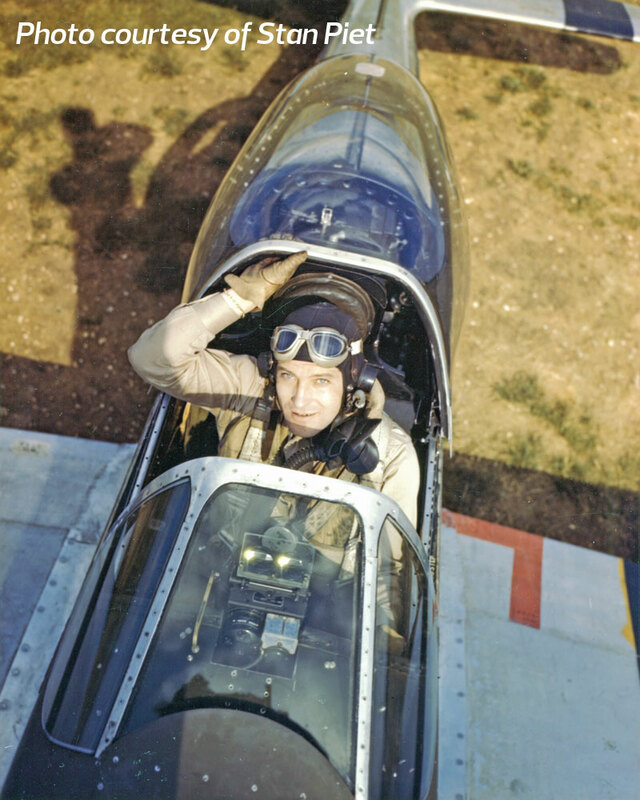 And when no longer in the cockpit, there is no phase of life that stays with an individual as thoroughly as having been a fighter pilot. Just as there are no such things as ex-parents or ex-Marines, there are no such things as ex-fighter pilots. It stays with them forever. More important, although movies invariably inflate the fighter-pilot image to Hollywood proportions, a goodly portion of it is true. And audiences sense that. Even little kids sense the differences, even though they don’t know exactly why. They seem to know an out-of-the-ordinary personage when they see one. This has been true for 100 years and isn’t likely to change.